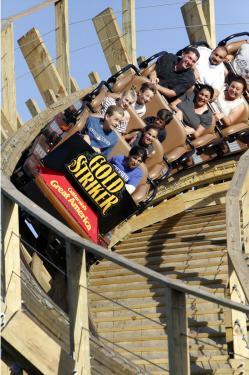 Visitors to the Golden State can choose from dozens of California theme parks for exciting thrills. These parks are perfect for a quick visit or a longer theme park getaway, and with so many parks to choose from, you might have difficulty deciding which one to visit first! From Disneyland to Universal Studios, as befits an area that is home to the largest entertainment industry in the world, southern California contains all of the state's big name theme parks. The following lists contains some of the most popular theme parks this state has to offer..
Birch Aquarium is just north of San Diego in La Jolla. Children will love to explore the outdoor tide pool filled with tide pool animals the kids can touch, and there's a 70,000-gallon kelp forest that must be seen to be believed. Situated next to Mission Beach in San Diego, Belmont Park is more of an old-fashioned amusement park than a Six Flags extravaganza. Signature rides such as the Big Dipper and the Plunge have been around since 1925. Their newest attraction, RUSH Laser Tag, is a laser tag arena that holds up to 20 people. Perhaps the most popular California amusement park, Disneyland, an Anaheim, Orange County attraction, has a rich, magical history. The park offers stunning, Disney-themed rides and attractions for all ages, and it's split into seven different lands, including Tomorrowland, Frontierland and Adventureland. Members of the AAA can obtain special discounts into the parks. Built adjacent to Disneyland on 2001, the California Adventure park offers more thrilling rides than the themed attractions of Disneyland, but it doesn't sacrifice the Disney magic and wonder. Like Disneyland, California Adventure is split into lands, including A Bug's Land, an area for small children modeled after the film A Bug's Life. Located in Buena Park, Orange County, Knott's Berry Farm is a Cedar Fair park, and it offers a wide range of family-friendly rides, roller coasters, and shows. The park is especially known for delicious food, including classic fried chicken and delicious jams and jellies. Once in direct competition with Disneyland, this park's far cheaper prices have ensured it remains highly popular. The park offers discounts for both Southern Californian residents and AAA members. The Legoland in Carlsbad is a Lego-lover's fantasy land. It has outstanding constructions of famous landmarks, skylines, and animals that are all made out of these popular toy bricks. Their limited selection of amusement rides is perfect for younger guests, and the largest Lego store in the world is a great attraction for all ages. Various discounts and coupons are available, including discounts for AAA members and military personnel. The largest Six Flags theme park location, this Los Angeles theme park has more than 15 roller coasters, including some of the most innovative roller coaster designs in the world. The flying Tatsu, the classic Revolution, and the inverted Batman: The Ride are great for older kids. You can drastically cut down the steep admission prices at Magic Mountain by purchasing group tickets. Group ticket start at less than $30 per person. 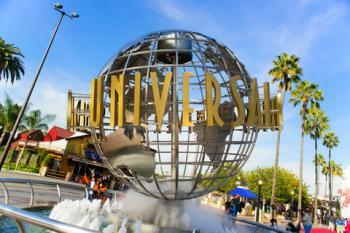 At Universal Studios Hollywood, guest of all ages can explore themed sets and thrill rides based on popular flicks such as Transformers, Revenge of the Mummy, Terminator 2, and Spiderman. Discounts and coupons are not readily available, so you will most likely find them as a local resident or as a member of the AAA. As usual the best deal are available through group tickets. Marine lovers will be thrilled to see all the tropical fish, sharks, dolphins, sea lions, and other aquatic creatures featured at this outstanding park in San Diego. At some exhibits, you will even have the chance to feed and touch exotic species such as dolphins, sea lions and stingrays. With the addition of some great new rides and high class dining facilities, SeaWorld can accommodate visitors of all ages. Be sure to take advantage of the now free admission to the Sky Tower. From the top, you can see all of San Diego. Like most big parks, SeaWorld offers plenty of discounts. This Egyptian-themed park, located in Redlands in San Bernardino County, has assorted water slides and carnival rides for all ages to enjoy, as well as an arcade and other attractions. With cheap group rates available for 500 people and above, it is perfect for school or company outings. Located in Ontario in San Bernardino County, this park offers more than two dozen small carnival rides, as well as two miniature golf courses, a 150-game arcade, batting cages, and an extensive picnic area. It does not have the highest of ratings on Yelp, but compared to other parks on this list, it is relatively inexpensive. Located in Riverside, this small amusement park offers four miniature golf courses, an exciting roller coaster, a family log flume ride, and various thrill rides to ensure an exciting visit for both teenagers and young children. Book online to find cheaper admission and discounts. Located in coastal Santa Monica, this park is featured regularly in film and television, and it's the West Coast's only pier-based amusement park. The fun includes dozens of rides and games, and the fact that there's no admission charge makes this a must stop-and-see vacation destination. If you are a fan of American Idol and Modern Family, keep your eye out. These shows sometimes film at Pacific Park. Northern California may not have as many big name theme parks, but the parks they have, such as Funderland Amusement, tend to be far more family-orientated, traditional attractions. At these parks, you are more likely to find such classic rides as carousels and the Big Dipper. This small park in Fresno County has six water slides, go kart tracks, and three miniature golf courses, as well as a paintball arena, an arcade, and more. Visitors attending the park with older kids able to look after themselves will appreciate free Wi-Fi throughout the park. 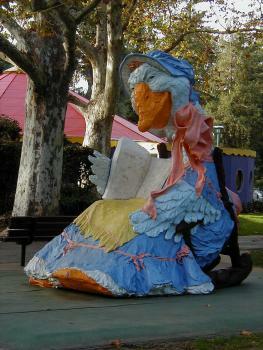 There can't be many small amusement parks with such an old-fashioned yet charming theme as Sacramento's Fairytale Town. This park has survived for over 50 years. The complete opposite of the thrills and spills of bigger parks, Fairytale Town provides kids with gardens that contain animals with names from fairy tales, such as Peter Rabbit and Mary Had a Little Lamb. If the kids need something a little more energetic, they can let loose at the Robin Hood Play Fort or the King Arthur's Castle, two huge play areas. This Sacramento park is designed especially for guests ages 2 to 12, and it offers a train ride, antique cars, a gorgeous carousel, and various other small attractions that provide big fun for smaller guests. Regular events such as mothers riding free on Mother's Day, as well as the park's new school field trip programs, promote Funderland as a friendly, community-based theme park. Calling their rides such names as Artichoke Dip, Apple and Worm, Garlic Twirl and Mushroom Swing, Santa Clara's Gilroy Gardens takes pride in being California's first horticultural gardens. In addition to the rides, the park has learning sheds and six gardens. While that may sound dull compared to other theme parks on this list, visitors rate Gilroy Gardens very highly on Yelp. With a teacup ride, a carousel and a Pixieland express train, this small, colorful theme park in Contra Costa County is exclusively for small kids. If you throw in the Kids Cafe and the reasonable prices, the birthday party packages start to look like very good bargains. This Santa Clara theme park, just south of San Francisco, has more than eight coasters for thrill seekers to enjoy, as well as a variety of both large and small amusement rides. Formerly a Paramount theme park, Great America has attractions, rides, and shows suitable for the entire family. Located in Vallejo in Solano County, Discovery Kingdom offers multiple roller coasters, as well as exotic animal attractions. This park may not offer the immediate thrill of Six Flags Magic Mountain, but younger kids will love petting the animals and watching sea life as dolphins perform their many tricks. 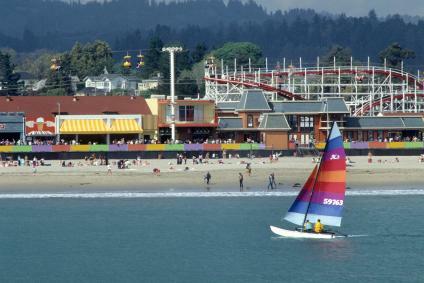 This iconic beach side amusement park in Santa Cruz has a variety of classic carnival rides, as well as the Giant Dipper wooden roller coaster. The park regularly hosts special events, concerts, craft fairs, and other entertainment options, and the arcades, bowling, miniature golf, and other attractions offer something for everyone. 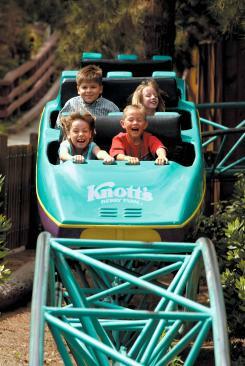 With so many California amusement parks to enjoy, it can be difficult to find the perfect park. When researching Golden State options for a thrilling getaway, visitors should also consider the state's many water parks - such as the Raging Waters franchises in Sacramento, San Jose and San Dimas. There are also famous zoos, major league sporting events, historical attractions, and other amazing sites to enjoy. These tips can help guests make the most of a California theme park getaway. Larger parks will be most crowded during the summer and holiday seasons. Planning a visit during off-peak seasons will ensure smaller crowds. Parks in northern California often operate seasonally, and not all attractions may be available year-round. Contact individual parks for operating calendars. Admission prices vary for different parks, and guests should investigate the best ticket or pass options for their budget. Discount tickets may also be available, particularly for California residents or as package deals for multiple attractions. Check the theme park's website for any special events. In particular, the smaller theme parks tend to hold three or four events every month. There are many different theme parks in California to entice guests with thrilling rides, amazing shows, and outstanding attractions. Whether visitors are interested in an adrenaline rush or a laid-back diversion, there's bound to be a park that has just what you're looking for and provides the best getaway possible.